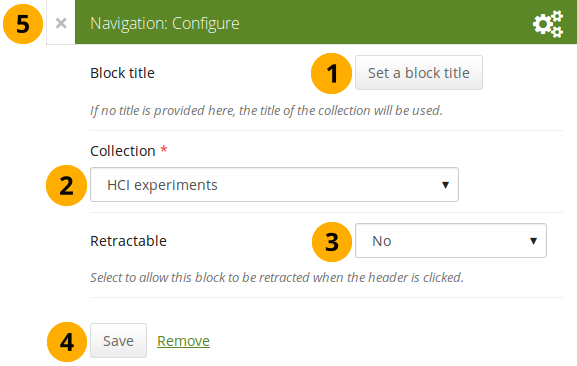 Administration messages: If you are an institution or site administrator, you see this option. All administration messages such as for objectionable content, virus upload, contact, etc. are grouped in “Administration messages”. 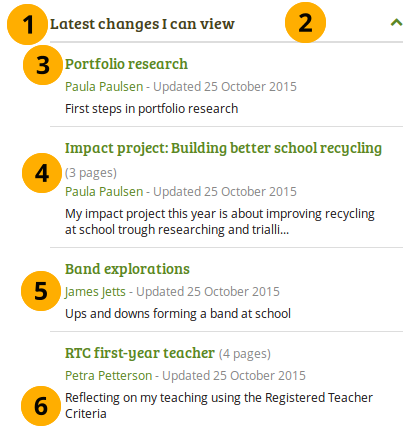 Allow peer reviewers to give blind feedback. This block allows somebody else to provide blind feedback on the portfolio author, e.g. in a formal assessment context where skills and competencies need to be assessed by the peer independently of what the portfolio author has stated. 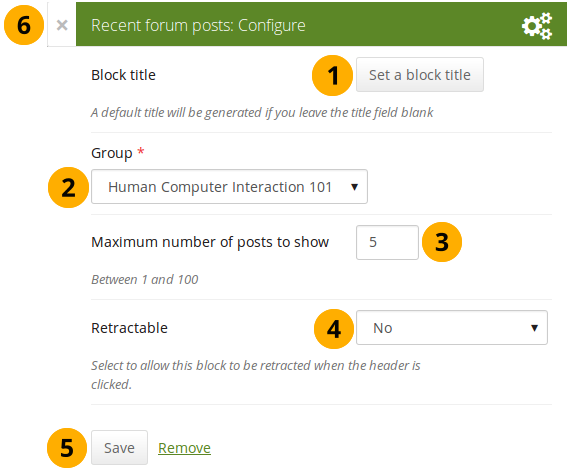 The peer reviewer can see block headings, but not the content in the blocks themselves. 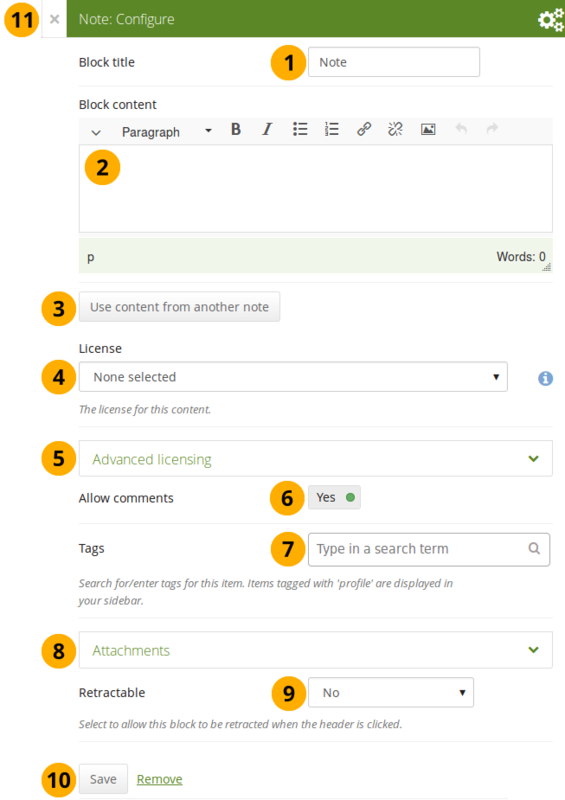 If the portfolio consists of multiple pages, and one of them does not contain a peer block, the peer reviewer does not see the page content at all. You must give a person the “Peer” role when sharing the portfolio page for them to be able to add their assessment. 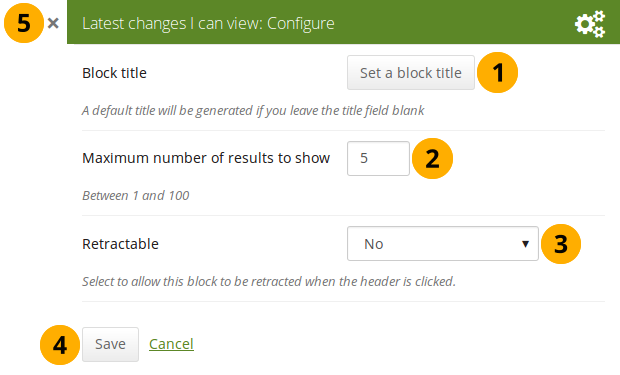 Block title: The title that you want to give this particular block. 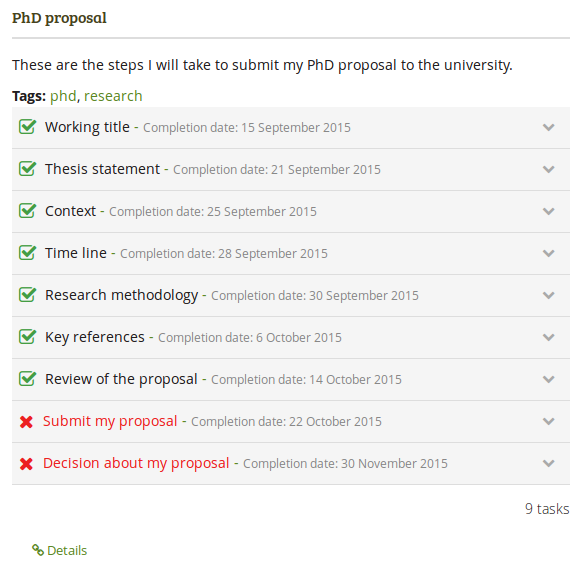 Instructions: Provide instructions for the peer reviewer to help them with their assessment. 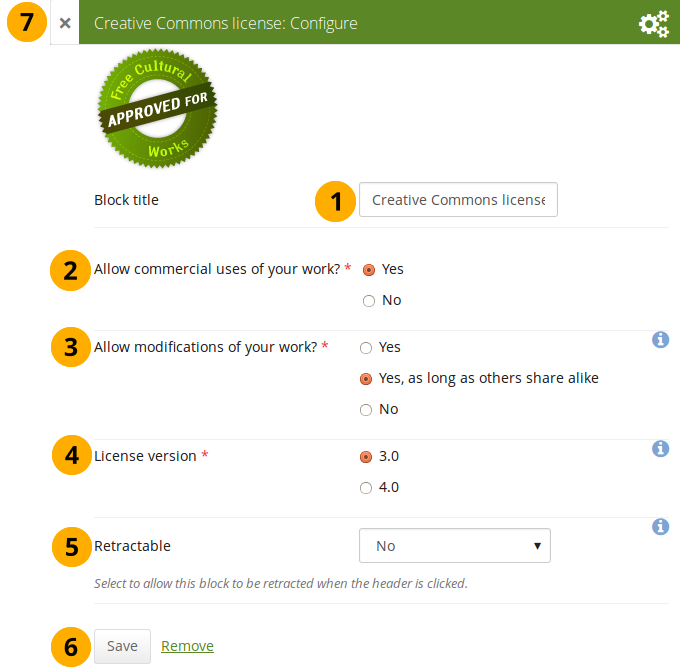 You can give someone the peer assessment permissions on the Edit access screen of your portfolio page. In the Share with drop-down menu, select “Users” under “Search for…”. 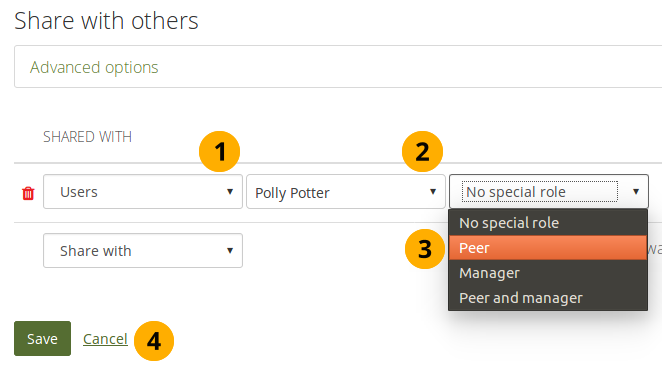 In the second drop-down menu that becomes available, type the name of the person who shall be the peer assessor and select them. 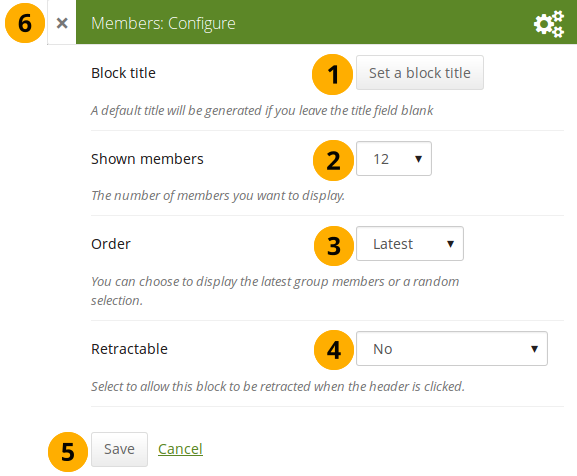 In the third drop-down menu, select the “Peer” option. 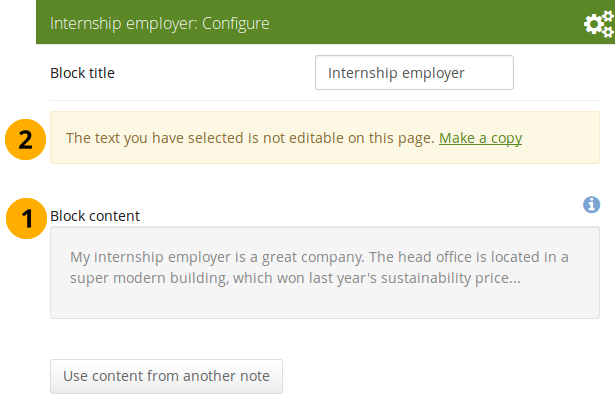 You can also select the “Peer and manager” option if the peer is also the manager and can verify the page in the end. 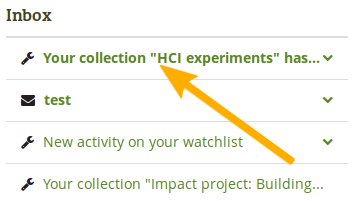 Click the Save button to keep your selection or click the Cancel link to abort your changes. Peer assessments are blind assessments at the moment allowing the peer assessor to give their feedback independently of the portfolio author. 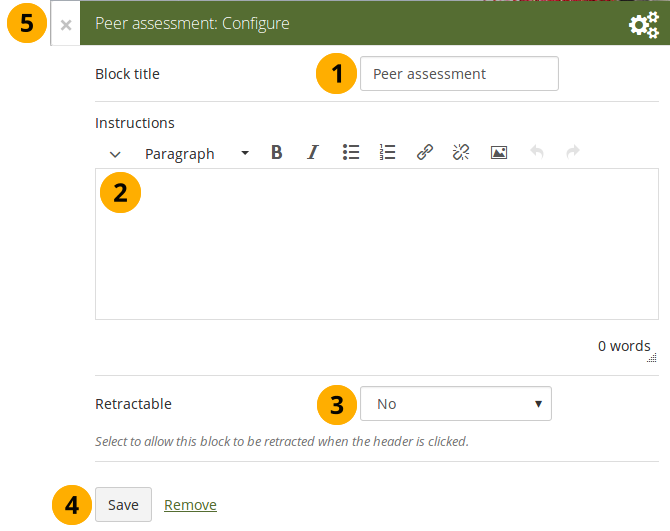 When you are the peer assessor on someone’s portfolio, and a page contains a peer assessment block, you can add your assessment by clicking the Add peer assessment link. 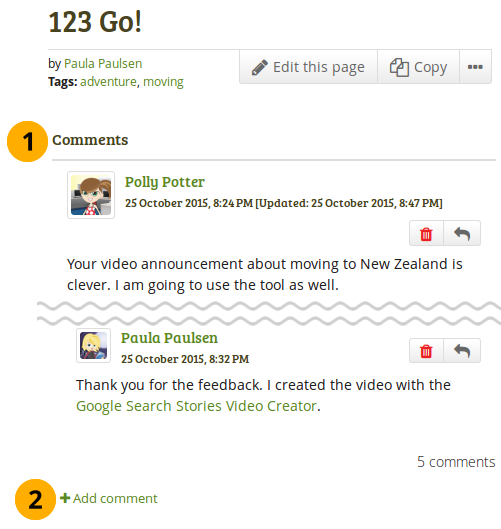 Click the Instructions link to view the instructions for the peer assessment. 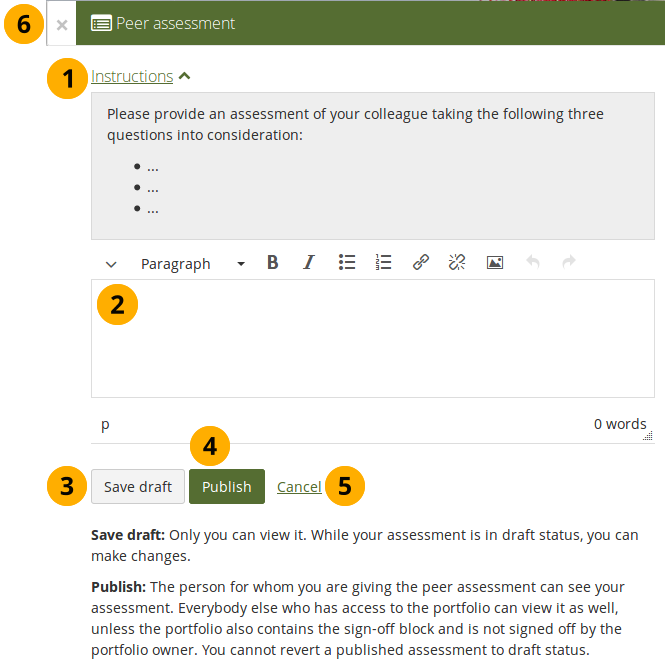 Click the Save draft button if you are not yet ready for the portfolio author to view your assessment, and you want to save a draft status. 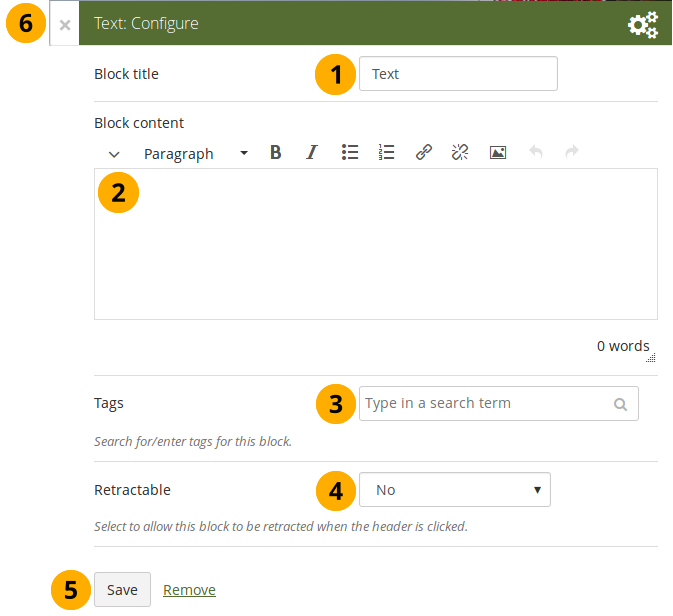 Click the Publish button when you finished your assessment, and the portfolio author can view it. A notification is also sent to the portfolio author. If the peer assessment block is used in conjunction with the sign-off block, the portfolio author must sign off the page before anybody other than themselves and the peer assessor can see published peer assessments. 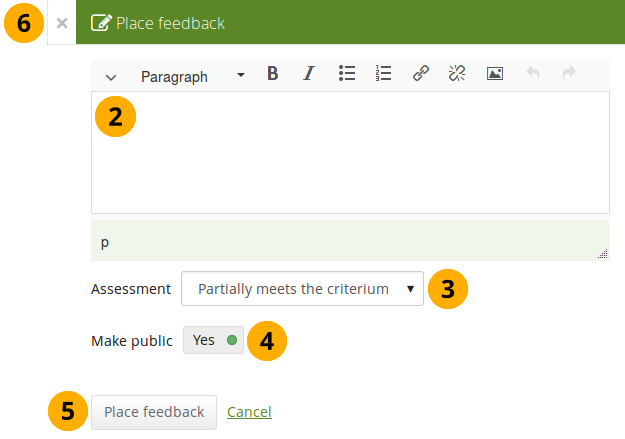 If a peer assessment is in draft mode, only the peer assessor can see it. Once it’s published, others can view it as well. 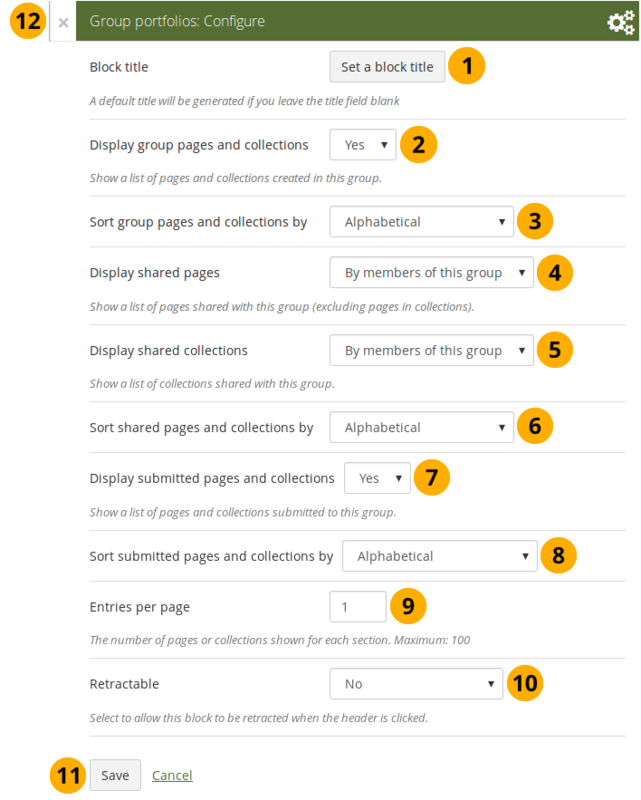 Click the Add peer assessment link if you want to add (another) peer assessment when you cannot edit an earlier one in the same block anymore. The profile picture and name of the peer assessor are displayed along with the date and time when the peer assessment was made. 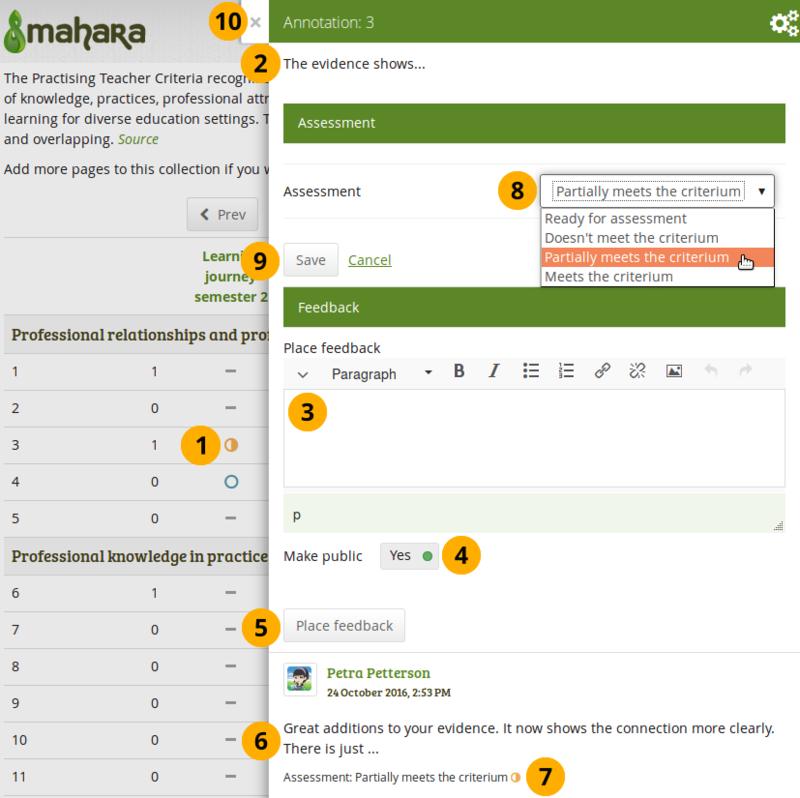 The peer assessment is displayed. is only displayed to the peer assessor for 10 minutes after publishing the assessment in case there are last minute changes they want to make. is only shown to the peer assessor, and they can delete their assessment at any point. If they do, the portfolio author receives an email about that with the text of the assessment included. Display your plans in a block. 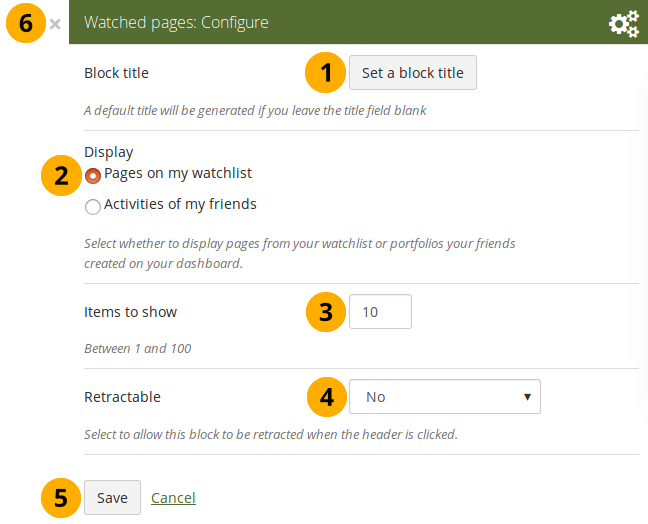 Plans to show: Choose the plan or plans which you want to display in your page. 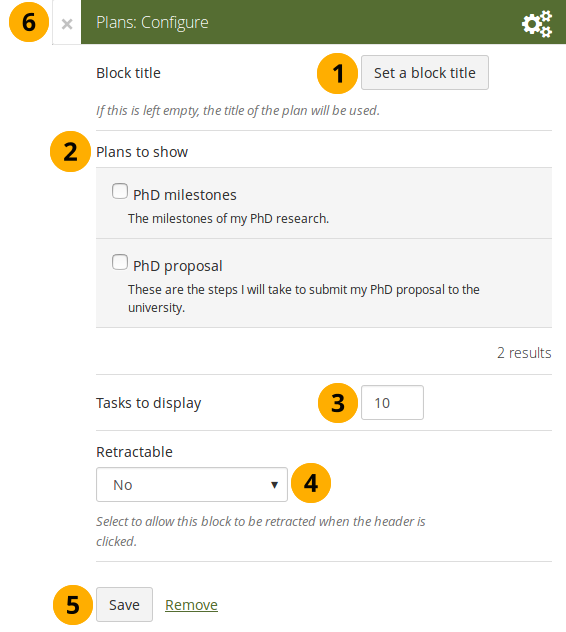 Tasks to display: Decide how many tasks you want to display for each plan before a paginator is displayed. Portfolio authors can sign off a page, and a manager can verify it. 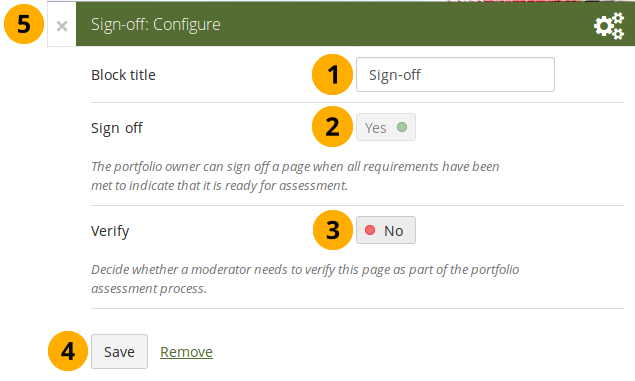 The sign-off and verification process allows for a visual indicator on a portfolio page showing whether the page has been finished and whether a manager has verified it before it can go for the final assessment. The verification by a manager is optional. Block title: Give the block a title. 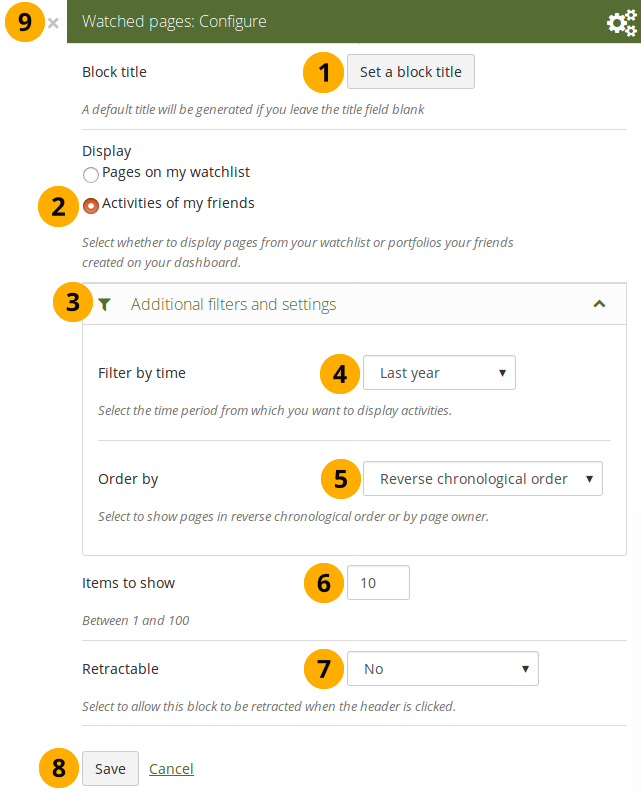 This is not required as the options will sit right below the page heading rather than in a block on the page itself when in view mode. Sign off: A sign-off by the portfolo author is always required. Verify: Give a person with the “Manager” permission the opportunity to verify a page and state that fact to carry it one step further in the assessment. Page content will not be locked when the verification has been made. The manager cannot revoke the verification. 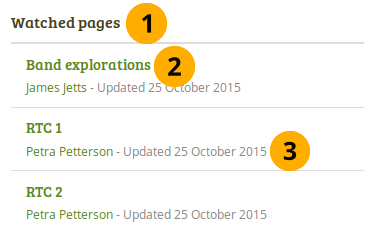 This can only be done by the portfolio author in form of revoking the sign-off for the page. You can give someone the manager permissions on the Edit access screen of your portfolio page to allow them to verify your portfolio. 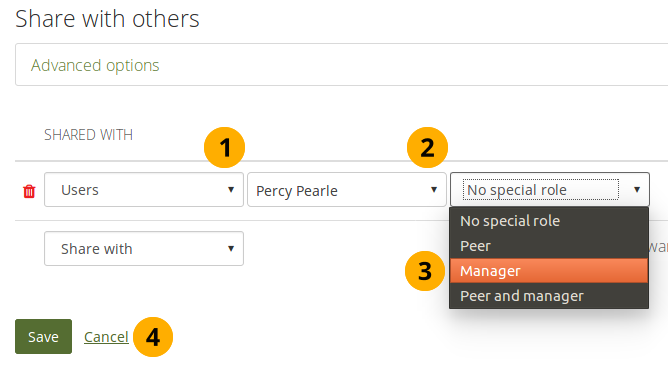 In the second drop-down menu that becomes available, type the name of the person who shall be the manager and select them. In the third drop-down menu, select the “Manager” option. 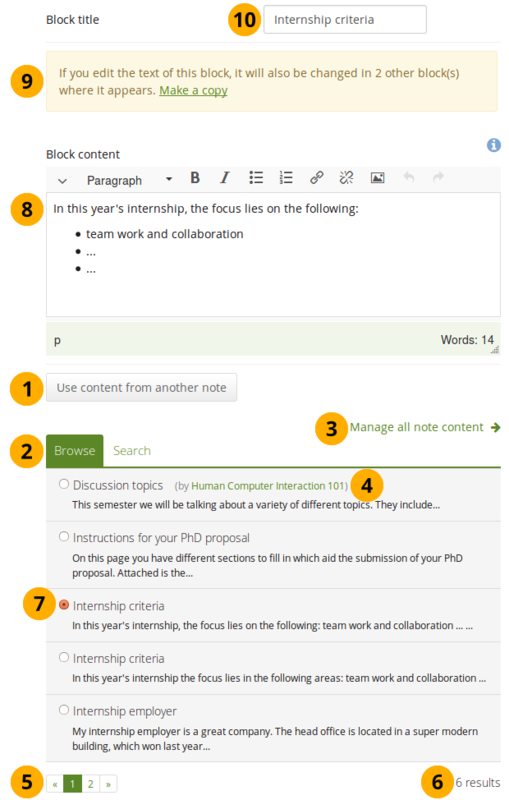 You can also select the “Peer and manager” option if the manager is also the peer and can write a peer assessment. 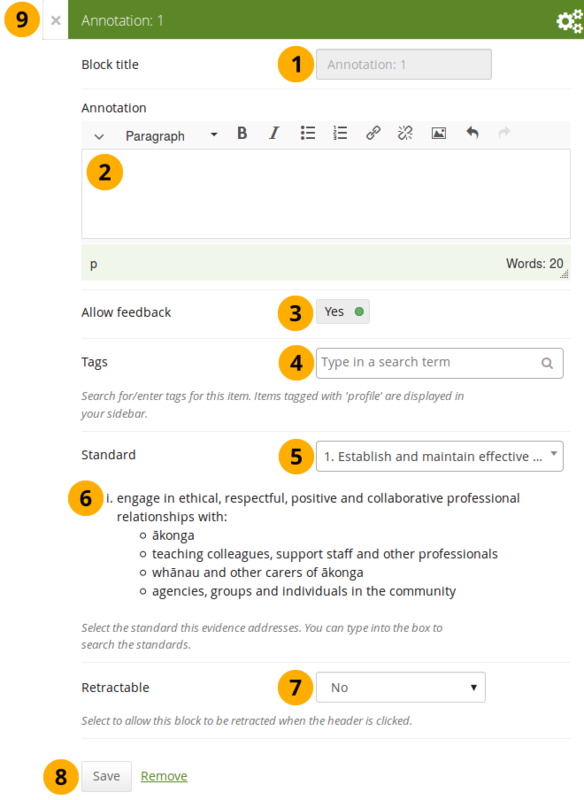 When you have a sign-off block on your page and you view it, you can see the sign-off and verification options below the page heading to the right. When you are ready to sign off your page, you can click the red dot icon , and it will turn into a green tick icon to indicate that the page has been signed off. If the page also needs a verification, your manager can now perform it. 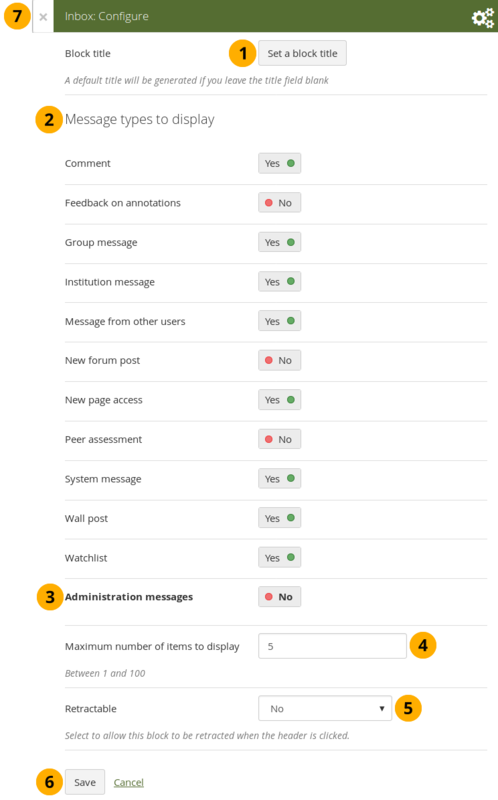 As manager, you can see the sign-off and verification options below the page heading to the right. You can only tick the verification option. When you are ready to verify a page that allows for verification, you can click the red dot icon , and it will turn into a green tick icon to indicate that the page has been verified. You cannot revoke the verification. Only the portfolio author can do so by revoking the sign-off.